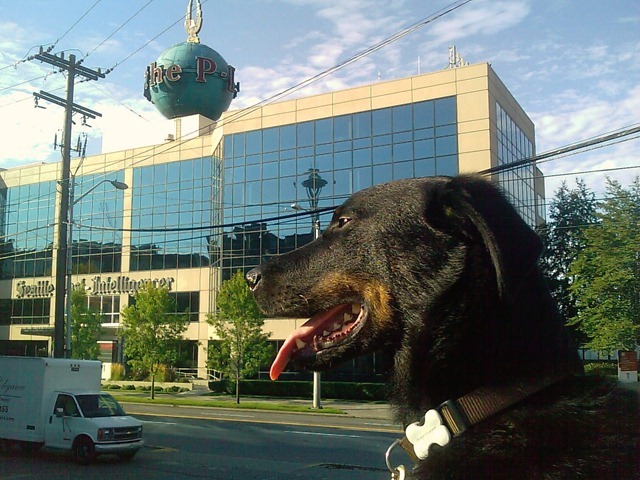 Lorie is now an official “Senior Unpaid Blogger” for the Seattle PI (that’s their globe pictured with Milo) along with 3 other people. You can usually find her entries on Monday and will focus on transportation and whatever odd thing pops into Lorie’s head. :-) For example, she just wrote about our local street car being attacked by mushrooms. The trees are starting to change colours in London, so I took some photos of them to share, plus a few other interesting things I have seen this month. Including two guys sword fighting in Hyde Park with real swords. They each had on a metal glove too – sort of like what a knight would wear. They were just practicing, but for what I’m not sure. What better place to practice swinging a big metal sword at someone than in a public park? Click on the “View Full Album” to see all the photos I’ve taken in the last few weeks in London. I was near the London Bridge for a meeting this afternoon/evening, so I decided to walk to Trafalgar Square where there were movies showing as part of the London Film Festival. 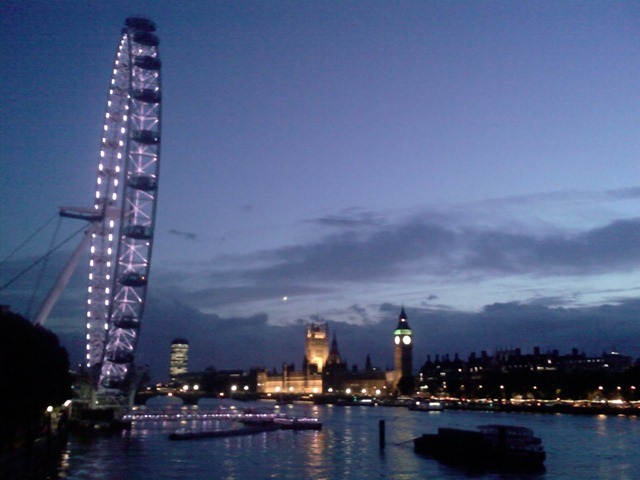 Along the way, I got a great view of the city on the Thames at dusk, heard a 3 piece band on the walkway that included an accordion. When I stopped in the National Theatre (free toilet) there was a good 3 piece band (Spanish guitar, base & piano) doing a great job playing Flamenco music – at least I think that’s what it was. At the film festival, they were showing old films about London transportation, which I’m always fascinated by since it has defined London so much over the years. The one film I watched showed what London and transportation looked like in 1896 (bicycles and horse-drawn everything: buggies, double-decker “busses”, etc.). What was interesting for me was London itself: shops on the first floor and flats above them – the same things we see today, and probably the same exact buildings we see today. Plus people darting across the road in front of the vehicles, just like today. The film also had a lot of guys in bowler hats. While walking through Leicester Square, I saw the fans and paparazzi for the world premier of Dead Man Running. I have no idea who is in the movie or who the stars were that I saw, but there sure were a lot of cameras and flashes going off. I finished the night with some good bangers & mash and a Guinness at a nice little pub. That was my commute home on a Thursday evening. How about yours? 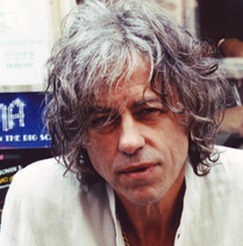 Here’s one of those little interesting things about living and working in London: Today during a fire alarm (it happens about once per week) we saw Bob Geldof leaving the building along with all the other people being evacuated. I don’t think he was meeting with Microsoft though; probably one of the other businesses in the building. He was looking like the picture here, only with a hat (a beret I think). So there you go: even celebrities even have to evacuate buildings during fire alarms. 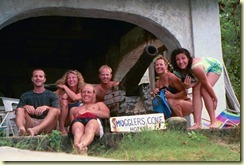 In late October 1999, five good friends and I sailed the British Virgin Islands on a boat we rented from The Moorings. 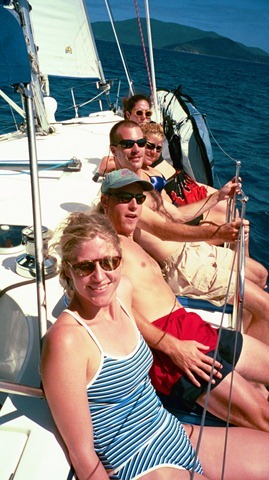 If you get the chance to go sailing in the BVI, I highly suggest you take it! On the way though, I ran across the London Canal Museum. 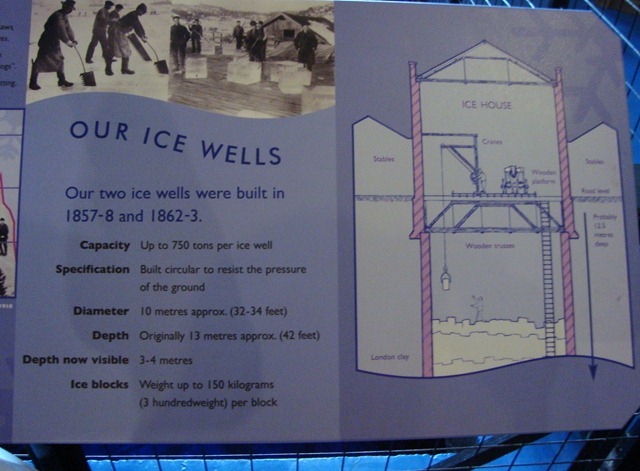 The building used to be an ice house that was originally built to store ice from Norway, which is what I was curious about seeing. I also learned a bit about the canal boat industry that was interesting (horses used until 1950, etc.). When we went on our canal boat trip in Yorkshire the other year, we noticed that there were worn out spots on bridge supports from ropes tied between the boat and the horses pulling the boat. Today at the London Canal museum, I learned that the ropes were made from cotton so they could sink when meeting or passing other boats, thus allowing the boats to go over the rope. By doing this though, the ropes would get sand and dirt embedded in them from sinking to the bottom of the canal. These gritty ropes would then easily grind down the edges of the bridge supports when the horse would walk around them. After leaving the canal museum, the British Library was on the way so I decided to go to see Robert Scott’s diary that I missed when I was there a couple of weeks ago. (Alan told me about it) Click here to see the last thing he ever wrote, highlighted by a cool feature of Microsoft’s Bing search product. :-) I also took the time to look at “A Dictionary of the English Language” written by Samuel Johnson. He made the comment to a friend trying to decide to move to London; something along the lines of “to grow tired of living in London means you’ve grown tired of living.” After leaving the library, I went through Covent Garden and saw an entertaining street performer (pictured) swing a very long rope that a little girl tried to hang on to. It doesn’t sound funny, but it was good to watch. I then finally made my way to The National Gallery where I came across a few paintings of Venice (among thousands of other paintings). 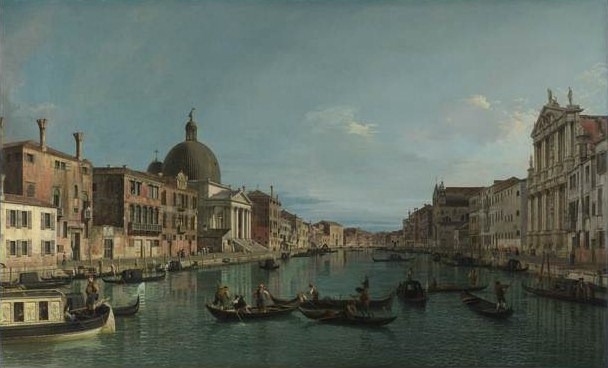 The ones of the canals in Venice by Canaletto and Guardi really grabbed my attention. The one pictured here is by Canaletto. So today I learned about the canal boat industry, the early ice industry, the most influential English dictionary, saw Robert Scott’s last hand-written words, and saw some good 18th century paintings. That’s not bad for a day of walking! I spent quite a bit of time at the Royal Observatory looking at and reading about John Harrison’s clocks, which I’ve been fascinated with ever since I read the book “Longitude” a few years ago. Click here to see H1, H2, H3, and H4 (his clocks). He built H4 in 1760, which solved the Longitude problem and is one of the most important machines ever invented since it made travelling by sea much safer and more predictable. In Greenwich park, the Chestnut trees were dropping chestnuts all over the place and people were crushing them with their foot and collecting the nuts. No, I didn’t do that since green chestnuts didn’t look all that appealing. Fish & Chips at a pub for lunch on the river near the park was good though. Walking back, I went through Mudchute park & farm on the Isle of Dogs. I had no idea it even existed, but sure enough, there were plots of little gardens, people riding horses, and a variety of animals (I only saw sheep though). And yes, I saw a few dogs on the Isle of Dogs, since people live there and I walked through three different parks, which were perfect for dogs.